The Maltese Civil Court system is subdivided into inferior and superior courts. The inferior courts are divided into the Court of Magistrates (Malta) and Court of Magistrates (Gozo), each dealing with claims under €15,000 arising within their territory (the islands of Malta and Gozo respectively). The superior courts are the First Hall Civil Court which deals with claims over €15,000 and other civil claims which are not value connected (for instance, claims related to rights over immovables). The Court of Magistrates (Gozo) also sits in its superior jurisdiction equivalent to the jurisdiction of the First Hall Civil Court in Malta. The other superior courts are the Court of Appeal (Inferior Jurisdiction) composed of one judge for appeals from judgments of the Courts of Magistrates and from decisions by certain administrative tribunals, and the Court of Appeal (Superior Jurisdiction), composed of three judges, hearing appeals from the First Hall Civil Court and the Court of Magistrates (Gozo) in its superior jurisdiction sitting. In addition, the First Hall Civil Court (Family Section) deals with family law matters, the First Hall Civil Court (Commercial Section) deals with matters regulated by the Companies Act (Chapter 386 of the Laws of Malta) as from 9 April 2018 and the Court of Voluntary Jurisdiction deals with specific non-contentious matters. The First Hall of the Civil Court can also sit in a ‘constitutional jurisdiction’ in order to hear and decide issues relating to constitutional matters that mostly concern fundamental human rights. An appeal lies from decisions of the First Hall (in its Constitutional jurisdiction) to the Constitutional Court, composed of three judges. The law also envisages several tribunals and boards, such as the Rent Regulation Board (which is competent to decide on rent issues) and the Small Claims Tribunal (competent to hear monetary claims of a value of up to €5,000). While there are also plans for the Court of Magistrates (Gozo) sitting in its superior jurisdiction to be abolished and in lieu the jurisdiction of the First Hall of the Civil Court, the Civil Court (Family Section) and the Court of Voluntary Jurisdiction is to be extended to the islands of Gozo and Comino, the relative act providing for such jurisdictional changes is not yet in force at the time of writing. The Maltese civil court system is composed of adjudicators in the small claims tribunal, magistrates in the inferior courts and judges in the superior courts. No juries are present during civil proceedings. The selection process of judges is regulated by the Constitution of Malta. Magistrates and judges are appointed by the President of Malta on the advice of the Prime Minister. A person is qualified for a magistrate if he or she practises as an advocate in Malta for a period amounting to at least seven years and for a judge for at least 12 years. The Commission for the Administration of Justice established by the Constitution of Malta and a member of the European Network of Councils for The Judiciary, inter alia, facilitates and gives advice on the appointment of judges and magistrates when so requested by the Prime Minister. While the law does not promote diversity through, say, gender quotas, in recent years there has been a very visible policy to appoint female members to the judiciary. Other policies have also been recently introduced allowing, for instance, eligible practising lawyers to formally apply for the post of judge or magistrate. The selection process itself, however, ultimately remains as specified in the Constitution. two months - in cases where one has been despoiled of their possession or of the detention of any movable or immovable thing clandestinely or by violence, which start running from the day of spoliation. Time limits can be suspended or interrupted, except when they are of a peremptory nature (such as the time limit applicable for spoliation mentioned previously). ‘Suspension’ merely suspends the applicable time limit, while interruption allows for the applicable time limit to start running afresh. A time limit can be suspended in the case of conditional rights, where the applicable time limit would be suspended until the condition is fulfilled. Interruption can take place when, for example, a judicial act is filed, subject that such act is duly served on the other party and that such act clearly shows that the person claiming such rights is preserving his or her rights. Agreements whereby a time limit is suspended will only have any effect if they satisfy any of the instances mentioned at law whereby a time limit can be suspended. Otherwise, such time limit cannot be suspended by any other agreement since the law prohibits renunciation of such time limits before they expire. It is also prohibited for parties to an agreement to establish longer time limits than those specified in the law. The law does not provide for any procedure whereby a party can request the disclosure or exchange of documents prior to instituting court proceedings. Nevertheless, the parties are not prohibited from communicating with each other and trying to settle the disputed matters amicably or even possibly obtaining any documentation or information required from the other party if they consent to such disclosure. It is the practice to precede formal civil actions by a legal or judicial letter setting out the claim and calling upon the respondent to meet their obligations. While this is not strictly speaking necessary (except when the plaintiff intends to file ‘precautionary warrants’ in security of the claim), it is good practice and could impact on whether the defendant is eventually ordered to pay judicial expenses. Civil proceedings are commenced by filing a court application that, in certain instances depending on the nature of the claim, must be confirmed by the claimant on oath. The format of the court application will vary depending before which court it is filed. For instance, sworn applications filed before the First Hall of the Civil Court must include a summary of the relative facts, a list of witnesses, a list of documents together with a copy of such documents attached to the application and the remedy or relief being sought by the plaintiff. Once the relative court application is filed, the case is assigned to a particular adjudicator, who sets the date of the first hearing of the case. The court application is then notified to the counter-party by a court officer. Upon successful notification, the defendant must reply within the applicable time period, which varies according to the nature of the case and before which court the court application was filed. For example, in cases being heard before the First Hall of the Civil Court, a reply has to be filed within 20 days from the date of service of the relative acts. Maltese courts are still experiencing a backlog. However, with an increase in the number of judges and magistrates and the introduction of court attorneys, said backlog is being tackled and each year there is considerable improvement. The government of Malta has also introduced new boards or tribunals such as the Arbiter for Financial Services, to better handle such backlog and provide adjudicators with more specialised knowledge in certain fields. The government of Malta is undergoing a reform of the judicial system in Malta to improve efficiency and create easier access for one to seek a remedy. Consequent to filing a civil claim in the superior courts, and unless the defendant intends to admit the claim, the defendant is to file a reply within 20 days from notification. In the inferior courts, a reply generally needs to be filed until the day of the first hearing or by leave of the court after this time. The documents in support of the demand or reply as applicable must be produced with the demand or reply. The court may decree that within a particular term either party should present additional documents substantiating the demand or reply. Generally, unless stipulated otherwise, all causes should be appointed within two months and sittings are to be heard at least on a bi-monthly basis. At the first sitting the court will ascertain whether all parties involved were notified of the acts and determine the course of the proceedings. Where the plaintiff is seeking payment of a debt that is certain, liquidated and due or where there is a demand for eviction of a person from immovable property, the law envisages ‘summary proceedings’. In such situations defendants are to appear before the competent court at the date set for the hearing and seek to convince the court that they have an adequate defence to bring forward. If the court upholds the plaintiff’s request for summary proceedings, the court proceeds to give judgment in favour of the claimant on the same date. If not, the defendant would be allowed leave to file a defence and the case would follow normal timelines. For appeal proceedings, the law stipulates that the Registrar of the Courts is to publish and serve with a notice to the parties the date of the first hearing of the appeal possibly by not later than three months after payment of the necessary deposit. In 2017, an amendment was introduced to facilitate appeal procedures whereby the parties may declare and confirm through a joint note in the court of appeal that they have no other submissions and the appeal would then be adjourned for judgment not later than six months from such a note. Once the adjudicator sets the first hearing, from the first hearing onwards the parties to a case can agree with the adjudicator when and at what time subsequent sittings are to take place. The parties to a civil case will not be notified by the court of every subsequent court sitting after the first hearing. The parties and the adjudicator may agree that the case should proceed in a certain manner and, subject to the agreed manner being in line with the law, the case will proceed accordingly. Where time is of the essence, the courts may appoint judicial assistants to collect evidence or prepare a pre-judgment report. Where the matter has a technical aspect, technical experts may be appointed. In principle, each party in court proceedings is free to exhibit documents to substantiate their respective claims or arguments. However, in terms of article 558 of the Code of Organisation and Civil Procedure (Chapter 12 of the Laws of Malta), evidence in general must be relevant to the matter in issue. Maltese courts tend to abide by the principle that a party should present the best proof available. There are specific procedures available for the expunging of documents under specific rules. The parties are not obliged to share any documents not exhibited in court. This means that the documents already exhibited by any party during court proceedings may be used by the other party to substantiate any argument they may put forward. The Code of Organisation and Civil Procedure also caters for a special procedure termed ‘actio ad exhibendum’ for one of the parties in court proceedings to demand the other party produce documents in their possession in specific instances set down in the law; for instance, where the document belongs in common between the parties involved. Furthermore, there is no specific obligation on the parties to preserve evidence that is in their possession. In terms of article 588 of the Code of Organisation and Civil Procedure, no advocate or legal procurator without the consent of the client, and no clergyman without the consent of the person making the confession, may be questioned on such circumstances as may have been stated by the client to the advocate or legal procurator in professional confidence in reference to the cause, or as may have come to the knowledge of the clergyman under the seal of confession. Similar rules apply to accountants, medical practitioners, social workers, psychologists and marriage counsellors, except that in these cases the rule is less strict and such professionals may be ordered by the court to give evidence. Unless otherwise specifically indicated in the law, there is no document that is privileged and cannot be produced during civil court proceedings. A particular bone of contention refers to correspondence sent on a ‘without prejudice’ basis. Within the Maltese legal profession it is deemed unacceptable to exhibit such correspondence, but this is not backed by any specific legal provision and, on rare occasions, the courts have taken into consideration documents even if marked ‘without prejudice’. Reference should also be made to article 637(3) of the Code of Organisation and Civil Procedure, which lists specific documents that are privileged and cannot be forced to be exhibited by any party during court proceedings. For instance, a document that if disclosed would damage the security, defence or international relations of Malta or would divulge information or matters communicated in confidence by or on behalf of a foreign government, an authority of a foreign government or an international organisation to the government would be considered a privileged document. Specific documents related to the cabinet’s government are also termed as ‘privileged documents’. Other examples of privileged documents are those that would endanger the life or physical safety of a person or would prejudice the fair trial or impartial adjudication of a person undergoing proceedings. Other examples are documents that would substantially affect the ability of the government of Malta to manage the Maltese economy. Article 637(3) of the Code of Organisation and Civil Procedure also stipulates that documents of which the disclosure is prohibited by any other law are also privileged documents. Evidence from witnesses and experts is usually exchanged prior to the trial at the discretion of the relative party, as there is no legal obligation on the parties to exchange any written evidence prior to the instituting of the relative court proceedings. Once court proceedings are instituted and prior to the hearing of any oral evidence, the adjudicator may order the parties to the case to exhibit all documentary and other written evidence they may have within a time period decided by the adjudicator. If the adjudicator does not make such a request, then documents and written evidence are exhibited during the witnesses’ testimony. Evidence may be given either orally or by means of an affidavit. If an affidavit is presented by one party, the other party has the right to cross-examine the witnesses or experts ex parte who presented their testimony by means of an affidavit; this cross-examination will usually be done orally. In the case of experts or referees appointed by the adjudicator, unless the parties wish to further question the experts or referees, a sworn written report of their findings is presented in court and said report is to be read out in court, unless the adjudicator declares otherwise. The referees may be examined and cross-examined by the parties to the case. the warrant of injunction: this warrant prevents the defendant from carrying out a specified act that is deemed to be prejudicial to the person suing out the warrant provided that the person suing out the warrant proves that they have the right that they are seeking to protect. This warrant also applies in instances of separation or divorce and to prevent a minor from being taken outside Malta. An application for the issuance of a precautionary warrant should be submitted to the competent court through an application which, on pain of nullity, should be confirmed on oath. Precautionary warrants, once issued, should be followed by the filing of court proceedings on the merits within 20 days. Foreign proceedings may meet this requirement of the law, provided that the claim for which the warrant has been issued as security is reflected in the ongoing foreign proceedings. Moreover, the European Account Preservation Order in terms of EU Regulation No. 655/2014 is applicable for cross-border disputes from January 2017. Precautionary warrants may be revoked at the request of the respondent in specific instances set down in law. Substantive remedies under Maltese law are determinable upon the demands of the plaintiff. If the demands of the claimant are procedurally correct and in terms of the applicable principles, including the necessary proof of the claim, the court will uphold the demands of the claimant and grant the remedies sought. Punitive damages are available in terms of the principles of restitutio in integrum where a person should be re-integrated in the situation before suffering the damages in question. One may also demand interest on a sum of money as damages at a maximum of 8 per cent per year. In terms of damages, the courts award effective damages, which are those suffered as a consequence of the actions of the other party, and also loss of future profits for persons who suffer permanent disabilities. Moral damages are not legislatively available except in constitutional and consumer claims, but on occasion (relatively low) moral damages have been awarded in cases of personal injury. warrant in procinctu: this exceptional warrant is used to demand the court issue such orders to the Registrar of the Courts to proceed as necessary for the judgment to be executed. Failure to obey a court order can also lead to the institution of proceedings for contempt of court. Court hearings are usually held in open court. However, depending on the nature of the case or of the evidence to be tendered, there may be cases where the general public is excluded from attending. Judgments are also generally delivered publicly in open court, and in civil cases the whole judgment is not usually read out and instead only the operative part of the judgment is read. Court documents are generally available to the public, except for those documents that the court at its discretion may restrict owing to their content or nature, such as personal banking documents or sensitive medical records. In practice, judgments are generally uploaded to the court’s online portal. Judges will include a decision as to who is to bear the costs of the case. Normally it is the party cast who will be ordered to pay all the costs of the proceedings, including those of the winning party. The adjudicator may also order that costs be shared if there is a good cause; for instance, if both parties were at fault or if the case dealt with a very difficult or novel point of law. The costs are determined according to statutory tariffs and, irrespective of whether the relative party was represented by one advocate or more, the winning party is not entitled to claim the fee of more than one lawyer. Defendants may request the adjudicator to order plaintiffs to provide a security for their costs, particularly in cases where precautionary warrants have been issued by the claimant against the respondent. Furthermore, when an appeal is filed from a judgment or decree given in a cause initiated by a sworn application, the appellant must deposit a security for costs not later than two days before the first hearing of the appeal. Advocates and clients can enter into different fee arrangements but cannot enter into any agreements or stipulations quotae litis (including no win, no fee agreements). Parties to a case may obtain funding from third parties in order to defend their case, such as from insurers. However, the courts will not order such third parties to be paid a share of the winnings if they are not the rightful party in the claim for which funding was obtained. The third party will also not bear any of the risks involved in the relative case if they are not an actual party to the case or are not subrogated in the rights and responsibilities of one of the parties to the claim. Insurance companies can cover certain legal costs depending on the terms and conditions of the insurance policy. In terms of article 161(3) of the Code of Organisation and Civil Procedure, two or more persons may bring an action together if their actions are connected in respect of the subject matter or if the decision of one action might affect the decision of another action and the evidence in support of one action is generally the same. Connected actions are also governed by the Collective Proceedings Act (Chapter 520 of the Laws of Malta), which deals with connected actions in issues of competition law, consumer law and product safety law. Specific procedural rules apply in relation to connected actions filed under the Collective Proceedings Act. In civil claims an appeal is available from decisions of the first court, both on points of law and points of fact. There is, however, a general principle that the Court of Appeal will not reverse the first court’s rulings on points of fact unless there are grave reasons justifying this. Generally, the term for appealing is 20 days from the judgment of the first court, and the party against whom a reply is lodged has another 20 days from notification to file a reply to that appeal. In certain circumstances, such as appeals from tribunal decisions or arbitration decisions, an appeal is only available on points of law. A ‘third-party appeal’ may also be lodged by a party not involved in the original proceedings, provided that such third party proves juridical interest in the claim in question. There is no further appeal from a judgment of the court of appeal, although there is the possibility of a retrial in exceptional circumstances. Brussels I Regulations (EC) 44/2001 and Brussels I Recast Regulations (EC) 1215/2012 apply for the recognition and enforcement of judgments in civil and commercial matters obtained from a court of an EU member state including Denmark. In the case of judgments obtained from other countries that did not adopt the Brussels Regulations, a court application will need to be presented before the courts in order for the judgment to be recognised and eventually enforced in Malta. If such judgment does not satisfy relative criteria set out in the Code of Organisation and Civil Procedure (for instance, if it is in breach of Maltese public policy), then the said judgment will not be recognised and enforced. There are also specific provisions regulating the enforcement of money judgments obtained from a court in the United Kingdom (British Judgments (Reciprocal Enforcement) Act - Chapter 52 of the Laws of Malta) and certain Commonwealth countries. In cases where evidence needs to be obtained from other jurisdictions, then one can apply the letters of request (letters rogatory) procedure. In the case of jurisdictions within the EU, Regulation (EC) 1206/2001 on the cooperation between the courts of the member states in the taking of evidence in civil or commercial matters may be applied. These procedures are applied reciprocally. Yes. Domestic arbitration law has adopted the default rules of the UNCITRAL Model Law on International Commercial Arbitration since the inception of the 1996 Arbitration Act (Chapter 387 of the Laws of Malta) (the Act) and provided for the establishment of the Malta Arbitration Centre. The UNCITRAL Model law is considered to form part of the laws of Malta and is accordingly deemed enforceable as such. Moreover, should the parties to an arbitration agreement relating to any international commercial disputes expressly agree in writing, whether in the agreement itself or in any other document, that any such controversy that has arisen or may arise between them is not to be settled in accordance with the UNCITRAL Model Law, and such parties fail to provide for the applicability of alternative arbitration rules therein, the relative rules on international commercial arbitration as detailed in the Act shall apply. through the issuance of a bill of lading, provided the latter contains an express reference to an arbitration clause in a charter party, in which case the bill of lading is - in and of itself - deemed to constitute a written arbitration agreement. As per the UNCITRAL Model Law, domestic law concedes the parties to an arbitration agreement the faculty of determining any matters relating to the choice, as well as the number, of arbitrators. Unless otherwise specified by the parties, the default number of arbitrators that is to be appointed to take cognisance of the dispute is three. The parties may determine the procedure through which arbitrators shall be appointed. Under domestic arbitration rules, if only one arbitrator is to be appointed, each party may propose the name of a viable candidate to the other. Should the parties fail to reach an agreement within 30 days from receipt of such a proposal by either party, the chairman of the board of governors of the Malta Arbitration Centre shall appoint the sole arbitrator. In arbitrations where three arbitrators must be appointed, each party shall elect an arbitrator of his or her choice. The remaining arbitrator, who shall be the presiding arbitrator, shall subsequently be chosen by such two arbitrators jointly. The chairman intervenes where the arbitrators are not appointed within statutory terms. The UNCITRAL Model Law sets out a similar mechanism for the appointment of arbitrators in the case of international arbitrations. An arbitrator may only be challenged if circumstances exist that give rise to justifiable doubts in relation to an arbitrator’s impartiality or independence. However, a party may only challenge an arbitrator appointed by him or her for reasons that he or she becomes aware of after the appointment had been made. While the UNCITRAL Model Law adopts a similar approach, in the context of international arbitration a party may also challenge the appointment of an arbitrator when he or she does not possess the qualities previously agreed to between the parties. The parties are effectively free to choose any person of their liking to act as arbitrator; however, the Malta Arbitration Centre has set up various specialised panels for domestic, as well as international, arbitration from which accredited arbitrators may be appointed. These panels include, inter alia, the Maritime Panel, the General/Civil Commercial Panel, the Banking, Finance, Accounting and Taxation Panel, the Building Construction Panel and the Medical Panel, to name a few. This has enabled the Malta Arbitration Centre to respond to the growing need of providing focused arbitral expertise in various distinctive sectors to deal with potentially complex arbitrations. Both the Act, as well as the domestic Arbitration Rules, set out standard procedural rules in relation to various forms arbitral proceedings. However, the manner in which arbitral proceedings are to be conducted by the Arbitral Tribunal is left entirely at the parties’ discretion, provided there is consensus among them. In the absence of such agreement between the parties, the procedure to be followed shall be determined by the Arbitral Tribunal, and in such cases the latter is free to establish the procedural parameters with respect to the admissibility, relevance, materiality and weight of any evidence. As a general rule, domestic courts may not intervene or have jurisdiction during the arbitral proceedings themselves, without prejudice to the provisions of the Constitution of Malta and of the European Convention Act, and provided they are requested to do so by either of the parties. However, precautionary warrants may be issued before the ordinary courts as security for claims being made in arbitration proceedings. Similarly, arbitration decisions would be enforceable through the courts. Appeals to the court are also available in specific circumstances, which will be addressed later on. Yes. Upon a request made by either party, the Arbitral Tribunal may order that an interim measure of protection be taken if it considers such measure necessary owing to the nature of the dispute in question. Additionally, the Arbitral Tribunal may also require any party to provide adequate security in connection with such measures. As already indicated, the Act also provides that, in the absence of an agreement between the parties stipulating the contrary, any party may request the court to issue precautionary warrants. awards ordering that provisional measures are undertaken by a party. Depending on the circumstances of the dispute brought before it, the Arbitral Tribunal may deliver certain awards at any stage of proceedings. By way of example, while financial awards are generally delivered at the end of arbitration proceedings, awards ordering the execution of provisional measures may, in cases of urgency (such as when these are ordered for the purpose of preserving an asset), be granted prior to the Arbitral Tribunal’s final decision. notwithstanding anything stated in the arbitration agreement, the parties have expressly agreed that no reasons are to be given in the award in accordance with article 44(3) of the Act. Nevertheless, there are exceptions in respect of appeals made pursuant to constitutional matters or appeals regarding potential lack of jurisdiction of the Arbitral Tribunal. An appeal must be filed within 15 days from the date of service of the award upon the applicant. Once the appeal is filed, the appellant must notify the Malta Arbitration Centre, as well as the arbitrators, with a copy of the application as soon as practicable but not later than 15 days after the application is filed. based on a review of the application, any response and the award, the appeal does not appear dilatory and vexatious. With respect to arbitral awards resulting from international commercial arbitration proceedings, domestic arbitration rules grant the parties thereto the right to enter an appeal to the Court of Appeal on point of law, insofar as the parties to the arbitration agreement have expressly agreed that such right of appeal shall be available to them, over and above any rights of recourse contemplated in article 34 of the UNCITRAL Model Law. Malta is a signatory to the 1958 New York Convention. 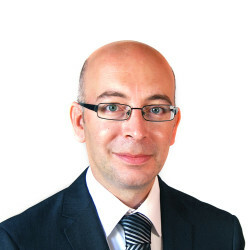 Awards given in connection with domestic arbitrations are deemed to constitute an executive title under Maltese Law, but the successful party must first proceed to register the award with the Malta Arbitration Centre. An award that has been recognised by the Malta Arbitration Centre, and has been rendered an executive title as a result, may subsequently be enforced by the successful party through executive warrants. Foreign awards are enforceable in the same manner as domestic awards and should also be registered with the Malta Arbitration Centre prior to being enforceable as an executive title. This, however, operates to the exclusion of awards delivered in terms of the 1965 Washington Convention, which are treated as final judgments under Maltese law and are enforced by the courts accordingly. In the latter case, registration with the Malta Arbitration Centre is therefore not necessary. Current enforcement procedures do not appear to have been influenced by changes to the local political landscape. A party to arbitration proceedings who has successfully obtained a favourable award can generally expect to recover the costs it has incurred in the course of such proceedings. The Arbitral Tribunal, however, retains full discretion in determining who the respective costs are to be borne by and in what proportion. The recoverable costs generally include fees due to arbitrators, legal counsel and expenses and fees due to the Malta Arbitration Centre. The Mediation Act (Chapter 474 of the Laws of Malta) establishes the Malta Mediation Centre and makes provisions regulating the conduct of the mediation process in Malta. The principal function of the Centre is to provide a forum where mediation parties refer or can be referred to resolve their dispute through a mediator. Under Maltese law, generally mediation proceedings are resorted either voluntarily, by order of an adjudicating authority including a court or else by law. Any parties to any proceedings may request together the court or adjudicating authority to stay proceedings and proceed with mediation. Such authority on its own initiative or under such request may direct the stay proceedings to order the dispute to continue through mediation. Mediation agreements between the parties involved may constitute executive titles enforceable by law in cases where the parties explicitly demand so under specific applicable rules. Amendments introduced in 2017 to the Code of Organisation and Civil Procedure provide that on the day appointed for the first hearing the courts of Malta must examine prima facie whether there are grounds to refer the issue in question to mediation in terms of the Mediation Act. There are instances where mediation is obligatory; for instance, in cases dealing with personal separation, divorce, access to children, care and custody of children and maintenance for children or spouses. Although the main body under Maltese law dealing with mediation is the Malta Mediation Centre, there are other entities that deal with mediation, such as the Office for Consumer Affairs in disputes between consumers and traders. Compulsory mediation will also be introduced in proceedings before the Rent Regulation Board. Mamo TCV Advocates offers an unparalleled depth and breadth of legal expertise in a variety of different practice areas. Our partners and associates combine a wealth of expertise and experience.